Yesterday, Linda and I made a trip to Rittenhouse Needlepoint for some threads. I enjoyed helping Linda find silk threads to replace cotton floss for a project of hers. The subtle variations in color are endless. Luckily, Rittenhouse has a variety of silks to choose from and we are lucky to be so close to the store. I picked up 2 skeins of new threads they stock now but that’ll be the subject of another post. This will be my first classes with Sandy and I’m sure I’m going to enjoy them as Sandy is just a fantastic lady and she knows beads and ribbons!! 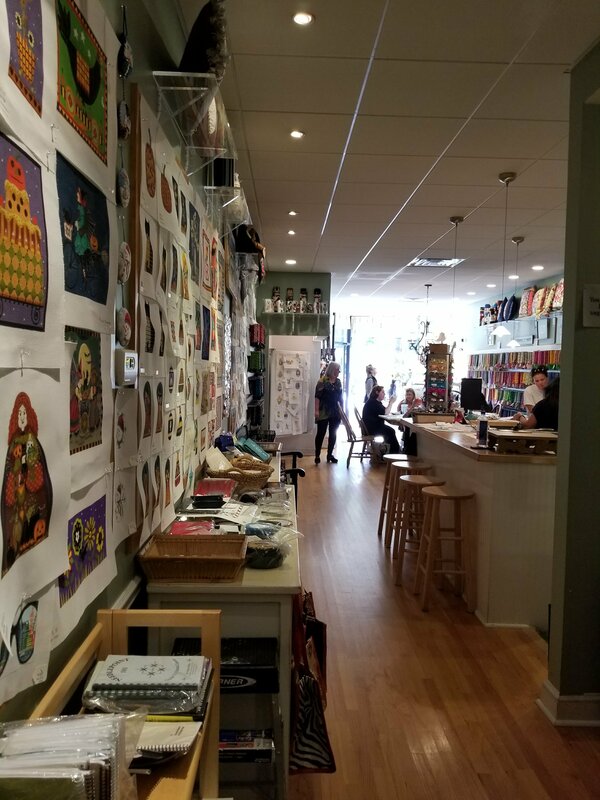 On my way home from our vacation (with my husband) in Westerly, Rhode Island, I stopped in Stitch By Stitch in Larchmont, N.Y. It’s right off 95 and was a great point to stretch our legs. A nice group of ladies were sitting about stitching working on some fun canvases. I picked up the booklet, Patchwork of Peace. Another piece that I want to get to eventually! 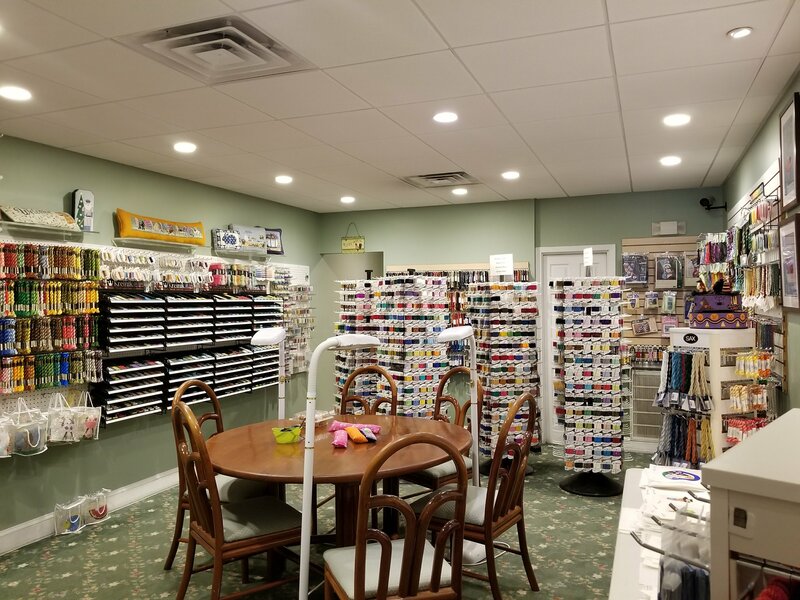 Great selection of threads, canvases, and supplies. Also, a well lit store with good space for classes. I’ve been watching for the right class, teacher, project, and date to align so I can join them. Some day!